Cappella Mariana is a vocal ensemble specializing in medieval and renaissance polyphony and the vocal repertoire of Early Baroque. The performances of Cappella Mariana have met with enthusiastic reception from the public and critics alike, the latter highlighting the ensemble’s expressive performance based on close attention paid to the text. Cappella Mariana was founded in 2008 as one of the few local ensembles focussing on the interpretation of high vocal polyphony, especially from Italian, Flemish, and English Renaissance but also discovering hidden treasures from Middle Europe sources. The ensemble is an artistic guarantor of the concert cycle Lenten Fridays since 2010 which aims to revive the historical tradition of musical performances held at the Monastery of the Knights of the Cross with the Red Star. The members of the ensemble are internationally renowned vocal artists who regularly collaborate also with ensemble Collegium Marianum and are frequent guests at some of the foremost European and world music scenes. They specialize in the interpretation of baroque and pre-romantic music and have appeared in concert venues in the Czech Republic and abroad with ensembles such as Bach Collegium Japan, Collegium Vocale Gent, Tiburtina Ensemble, Collegium 1704 or Vox Luminis. In 2012 the ensemble published its first CD, Sacrum et Profanum. In 2014 Cappella Mariana participated in the celebrations of the Year of Czech Music, publishing its second CD Praga Magna, with repertory of the court of Rudolf II, performing at some important European festivals and recording its concert performances for the Czech Radio. Nowadays the ensemble is a regular guest of festivals like the Utrecht Early Music Festival, Laus Polyphoniae Antwerp, Musica Sacra Maastricht, Arte Sacro Madrid, KlangVokal Dortmund and Tage Alter Musik Regensburg. Most recently Cappella Mariana launched a new CD on the label Et’Cetera, ‘Codex Speciálník – Polyphony in Prague around 1500’ - discovering the music from the important Bohemian manuscript Codex Speciálník. 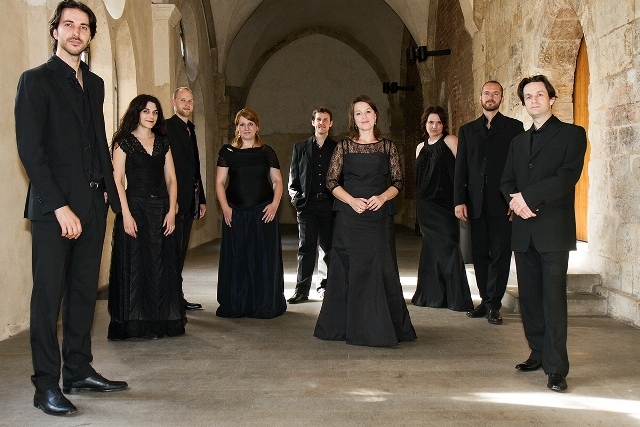 The ensemble works under the artistic direction of Vojtěch Semerád, a graduate of Charles University, Prague, and Conservatoire national supérieur de musique et de danse de Paris and currently a postgraduate student at the Papal Institute Musica Sacra in Rome where he pursues his interest in Gregorian chant and renaissance polyphony.